Cake Decor in Cairns: Top Tip Friday #19 : Keep Fluff & Lint out of your Fondant. 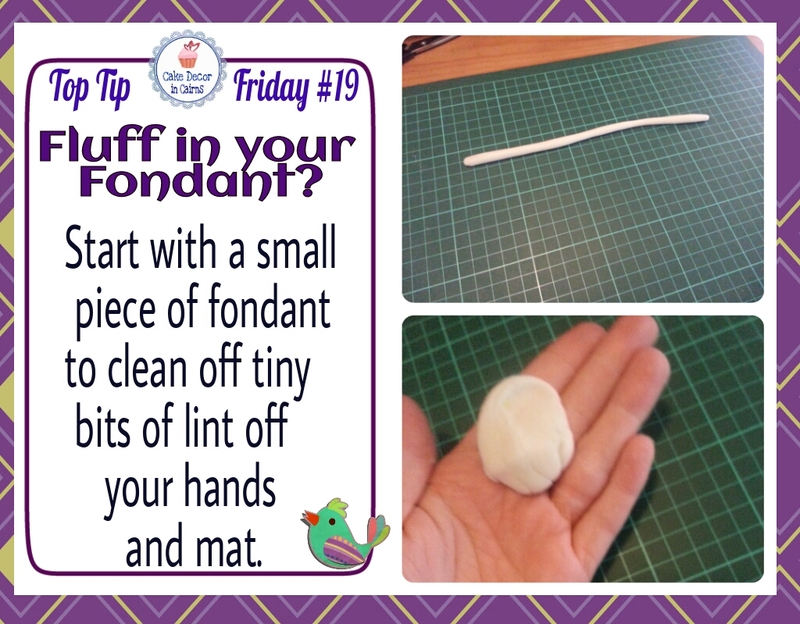 Top Tip Friday #19 : Keep Fluff & Lint out of your Fondant. Don't you hate it when you spend all that time rolling out fondant or modelling something awesome only to realise there's bits of fluff or lint stuck in it. Especially with white! Oh my gosh white fondant is totally unforgiving - everything, and I mean EVERYTHING shows up! 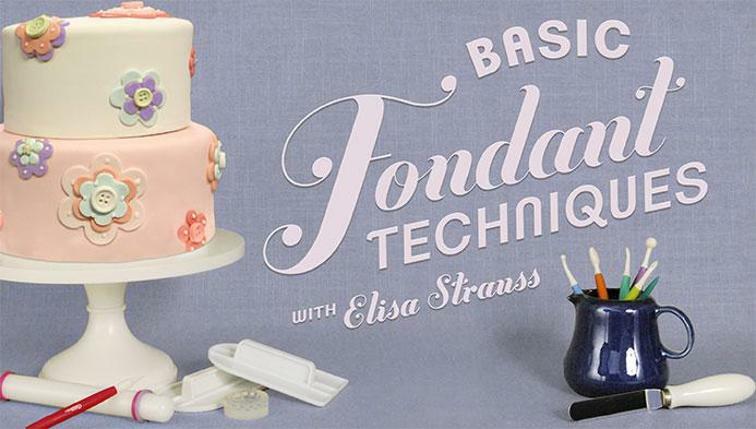 The best way to avoid this fondant fluffination (as I like to call it,) occurring in your fondant and gumpaste is to clean up the lint on your hands and work surface first. Even after washing your hands it's inevitable you will still have teeny bits of fluff, lurking around in stealth mode, just waiting to make it's appearance to dull your creations. See, when you dry your hands on a towel (cloth or paper) those tiny fluffy bits are jumping straight on to your hand. To get your hands and work surfaces clear of this annoying fluff and lint, get a small ball of fondant and turn it into "The Fluffinator!" Um yes I just made that word up, sounds pretty cool, so yeah I'm sticking to it... or shall I say the fluff's sticking to it!! Haha and okay yes you got me - I have a silly sense of humour! Now back to that fluffinating ball of fondant (or gumpaste) knead it in your hands, roll it out all over your mat, scrunch it up and rub it across all surfaces that your working fondant is going to be touching. Let it pick up every bit of sneaky fluff and lint that may have been trying to infiltrate your creations!